Opening times Cafe/Bar open Mon–Thu noon–11pm, Fri–Sat noon–1am; exhibitions open daily 11am–6pm. 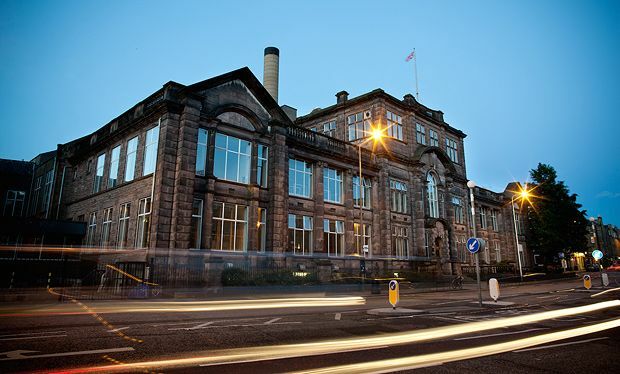 Located in the heart of Edinburgh's Southside, Summerhall is a multi-arts venue with a varying programme of events that take place all year round, from exhibitions and workshops to gigs and club nights. With a range of spaces including the TechCube, a world-class space for technology startups and an on-site restaurant, bar and cafe, Summerhall has become a hub for creation, education and entertainment, doing much to support Edinburgh's cultural community. Dark alternative pop is the chosen genre of this New Zealand-originating singer-songwriter. Open day at ASCUS Lab, suitable for anyone with a creative idea or interested in experimenting with scientific tools. Christy Dignam and Joe Jewell front the long-standing rock five-piece from Dublin. Exhibition of works by sustainable fashion designer Aurélie Fontan. Part of Edinburgh Science Festival. The Brooklyn-based art-rock outfit, currently much-happening in NYC, channel influences from post-punk, contemporary pop, hip-hop, krautrock, and folk-derived narrative songwriting. Scottish singer-songwriter nominated for a Mercury Award. Indie-folk singer-songwriter who was born in Penboyr and is now based in Cardiff. Mashed up electro, beats and indie. Joint exhibition of works by Russell Beard and Stephen Kavanagh which explores the uncertainty of the Anthropocene. Folk music from the Leicester based singer-songwriter and guitarist. Glasgow-based grunge rock duo featuring Cat Myers on drums and Stina Tweeddale on guitar and vocals. Folk from the Fife musician. New York's lo-fi anti-folk hero and satirical cartoonist. With top producers allowing you to try before you buy, as well as gin talks, cocktails, food stalls and handmade fashions and crafts on sale, the Juniper Festival celebrates all things related to gin. Collaborative physical theatre between performers from Dusseldorf and Edinburgh, which explores quantum theory in our tangible reality, and is created anew at every venue. Ambient electronica for the masses. Upcoming outfit influenced by lo-fi US guitar rock from the 90s. Exhibition of works by artist Louise Mackenzie which imagines the myth of Pandora for the biotechnological era. The UK's travelling rum festival comes back to Edinburgh for a third year. You can try over 100 different rums, cocktails and food from around the globe. A two-day celebration of Scottish talent, with live music from Pictish Trail, Piroshka, Bossy Love, Carla J. Easton, Be Charlotte, Savage Mansion and more. The operatic quartet perform their fresh spin on the iconic album. As a divorced lawyer in her 30s, Victoria is struggling to raise her two children. Her life takes a turn after she is reunited with her old friend Vincent and Sam, an old client, at a wedding. The plight of the immigrant and the viciousness of casual racism are the backdrop for this warm and engrossing drama about Bilal (Ayverdi), a young Iraqi refugee on his way to England who enlists the help of a former Olympic swimmer to help him swim the Channel. Edinburgh's club scene: what happens now? “Closed doors” at Summerhall And “Ulster American” at Traverse The best out of 16 events attended this year. Average rating 5/5 from 1 review of Summerhall.